Who can resist the spicy, sweet smell of freshly baked gingerbread, especially during the holidays? There is something about that smell and the memories it evokes for so many of us that, no matter what form the gingerbread has taken—houses, boys or girls, or maybe its cookie cousin equivalent, the ginger snap—we are taken back to a simpler place and time. What you may not be aware of is that gingerbread and, more specifically, ginger, has been around a very long time. Gingerbread has been used over the centuries for more than just making cute little men or houses, it has been used as medicine, money, and more. First let us look at the namesake of gingerbread, ginger. Its Latin name is Zingiber officinale, and it is a flowering plant that can reach up to 4 feet tall. 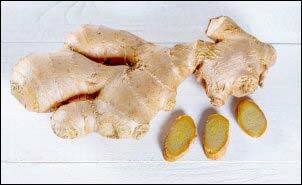 The ginger root, which is actually not a root at all but rather a rhizome, or underground stem, is used to create ginger powder, oils, etc. Ginger, one of the main ingredients of gingerbread, found its origins some 5,000 years ago or more in China and India. These early peoples used the spice as a tonic or tea to treat a wide assortment of ailments. Gingers popularity quickly spread and it was cultivated in many cultures in the ancient world. Ginger was once traded on the open seas and became a very popular and pricey commodity. The Romans would use ginger regularly as a digestive aid, to help treat nausea, as well as to help treat colic and even flatulence. The 16th-century writer, John Baret said of gingerbread that it was, “a kind of cake or paste made to comfort the stomach.” The Romans loved the warming effect that ginger had and would use it to help treat colds and congestion. When Rome fell, so too did the widespread use of this spice. However, in the Middle Ages, we see its popularity begin to boom again. As a matter of fact, ginger was worth so much at one time in the 13th and 14th century that it cost about the same as a sheep. Let’s move forward to the advent of gingerbread. At first, in England, gingerbread was used to describe any kind of preserved ginger. While there is no real definitive history of gingerbread as we know it, we do have a few accounts of a type of gingerbread that was used in religious ceremonies throughout the ancient world, specifically among the Egyptians and the Greeks. One of the earliest recipes, dates to 2400 B.C., it is said to have been made with almonds, rosewater, sugar, old bread crumbs, and ginger. This recipe, of course, does not yield the same gingerbread as we know it today, but gingerbread couldn’t take off in popularity until the price of the ginger spice dropped enough that the common man could afford it. Some sources say that an Armenian monk, Gregory of Nicopolis brought the recipe to Europe in 992. He is said to have traveled to France and learned to bake gingerbread there. What we do know is that by the 11th century and the Crusades, many monasteries had become well known for their gingerbread. Monks became proficient gingerbread bakers. Gingerbread took many shapes and sizes at that time, but some of the most intricate designs were molded out of pre-cut wooden molds. (If you are lucky and have enough money, you can sometimes find some of these molds for sale on websites such as eBay. Of course, you likely won’t be purchasing molds from the Middle Ages, but they are still sometimes several hundred years old.) The demand for these fancy molds was very high and thus it provided a source of employment for woodworkers. Soon people began using white icing to decorate the gingerbread. 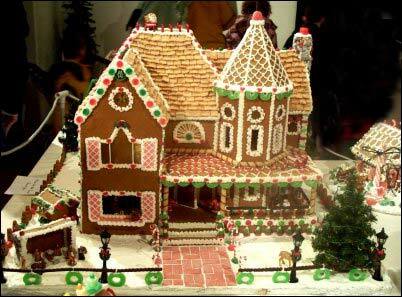 In the 13th century, the Germans are said to have taken gingerbread to Sweden. By the end of the Middle Ages, Gingerbread Guilds (likened to “clubs” or groups) had been developed and there were Gingerbread Centers throughout Europe, these were places that individuals could go and specialize in the art of gingerbread baking. Some of these places were Lyon, France, Pest, Hungary, Tula, Russia, Tourn Poland, and Nuremberg, Germany. In the 16th century, the English began using flour and eggs instead of the breadcrumbs and also began adding different sweeteners, such as honey, molasses, and sugar. We have records of Queen Elizabeth I giving gingerbread men to visiting dignitaries. It also became common during that time to give gingerbread with ribbons tied to it as a sign of love and gingerbread was sold in the local fairs. There were actually entire gingerbread fairs in which fair ladies and maidens would give their favorite knight gingerbread for good luck in the tournaments that were held. Single ladies at that time would eat “gingerbread husbands” which were said to increase their chances of finding a husband. On a more practical and yet disgusting note, gingerbread was used to cover the scent of decaying meat in Europe in the days before refrigeration. By the 17th century, gingerbread was being sold in pharmacies for its medicinal properties, which I have mentioned above. Gingerbread became associated with Christmas during the 16th-18th centuries when houses were first made in Germany and quickly made their way with the Pennsylvanian Dutch to America. These houses were very elaborate and were used to decorate mantles and windowsills for the holidays. Entire families would go around and admire the decorate miniature houses that sometimes took days to complete. Gingerbread is known by many names, in Croatia, it is called lizitar, in Poland, pierniczki, Scandinavia, pepparkakor, and in Russia, pryaniki… and that is just to name a few. Interesting enough, these terms are used only to describe a gingerbread in its thin, crisp cookie or “snap” form. Gingerbread hearts have been made in Germany for a long time with the words, “Alles was ich braught bist du” or “all I need is you”, piped onto them. George Washington’s mother is actually credited for one of America’s first gingerbread recipes. She shaped them as miniature kings during the pre-Revolutionary days. However, after the beginning of the Revolution, she began to shape them into eagles, the symbol of our nation and freedom from tyranny. To keep with the political theme, gingerbread was used to sway voters in Colonial Virginia. As you can see, the history of ginger and gingerbread is a long and rich one. At times, it has been used as a means of persuading people to vote for them; it has been used to make people feel well, as well as to cover the scent of death. It has many curative effects. It has been used to try to attract and to show love. It serves many wonderful purposes and just the smell of fresh baking gingerbread is very therapeutic. So, now that you know all about the history of gingerbread, why not make some of your own holiday festivities. Below are two of my favorite (and easiest) recipes. 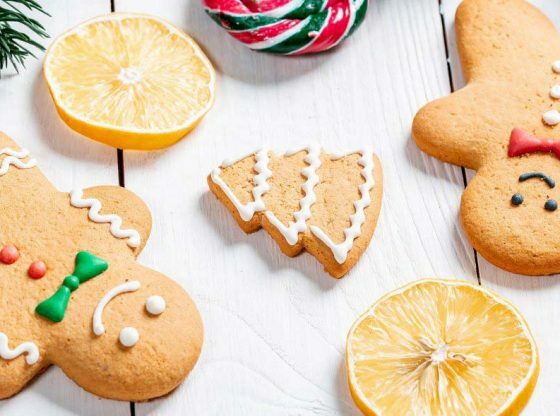 The first is an old fashioned gingerbread recipe for a more cakey texture, and the second is for gingerbread cookies, which can also be cut out into any shape, including houses. Preheat oven to 325 degrees. Grease and flour a 9-inch square pan. In a large bowl, cream together the sugar and butter. Beat in the egg and mix in the molasses. In a bowl, sift the flour, baking soda, salt, cinnamon, ginger, and cloves. Blend into the creamed mixture. Stir in the hot water. Bake for one hour, until a knife inserted into the center comes out clean. Cream butter and brown sugar until light and fluffy. Beat in molasses, egg and water. In another large bowl whisk remaining ingredients except the frosting. Slowly beat into the creamed mixture. Shape the mixture into a large disk and cover. Refrigerate until easy to handle, this takes about 30 minutes. Preheat oven to 350 degrees. Lightly flour a hard surface, roll each portion of dough to a 1/8 inch thickness. Cut with floured cookie cutters. Place pieces two inches apart on a greased baking sheet. 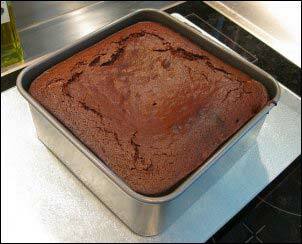 Bake until the edges are firm, usually 8-10 minutes.